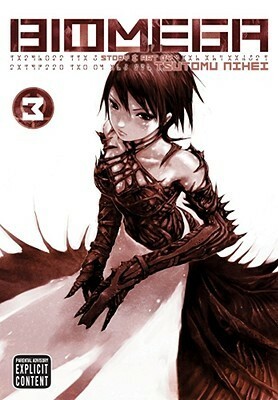 This manga is the usual Nihei stuff, some Killy-like badass character is on a mission and kills monsters along the way. You can expect action, violence, blood, decapitations, etc. The drawings are beautiful as usual. The whole world seems to be set in the same as Blame but before Blame and Noise. Nihei introduces interesting characters, new monsters and a new storyline. But, and there is a big but, the manga would have been better if it would have been a book or two longer. The manga is good up until the fourth volume and then you have the feeling Nihei is on hyper speed and he goes so fast introducing a new world and new characters, and reintroduces the old ones, by the sixth book we're short of breath anf it ends so quickly we wonder if there is going to be more volumes or a sequel but there won't be any. Nihei should have slowed down and make the serie a bit longer so we can enjoy it better and that we are less confused. Still, it's a great read, not as good as Blame but definitively better than Noise or Abbara. The first volume in this series gave me incredibly high hopes. It presented a dark futuristic world through stunning panels and very little text. The second volume introduced many of the players in this world, including the warring corporations now in charge (at least in Japan). I was willing to give a little there, since I was interested to know some of the background. However, the third volume moves from character to character and through plot developments with such reckless abandon that I often found myself confused. The characters introduced in the first volume continue to be a part of the plot, but in such fractured ways that the reader becomes disengaged and disinterested. I already own the fourth volume, so I will give it a read but I suspect I will be giving this series up and donating it to the library. That is hugely disappointing when remembering how mesmerized I was with volume 1. I loved Blame although I could barely follow the plot. It may have had something to do with how compelling I found the brute willpower of the protagonist. Biomega's main character is similarly single-minded, but less interesting perhaps because the POV is now divided between him, another synthetic human like him, and the bad guys. The action is still amazing to look at, but because the story is just as scattered as in Blame, and quite fast-paced, I often wondered why the action was happening. Hoping it gets more cohesive later, but we'll see. Not for the young or faint of heart, but certainly for adults who crave alternative literature to consume. 100% A+ excellent manga if you like deep, dark, violent, and mysterious....and of course the plot/story is way cool. If you enjoy adult manga, this is about as good as it gets.